Fewer than 700 of the more than 7,000 languages in the world have translations of the complete Bible. Fewer than 1,600 have a translated New Testament. That means about 180 million people today do not have any Scripture available in their language. Most of these people belong to minority languages, and many struggle to maintain their identity in the shadow of majority culture. Often they have no written language of their own. Bible translation involves bridging language and culture to communicate God’s Word clearly and effectively. Martin Luther’s early translation, completed in 1534, shaped the Western world. By putting God’s Word in the common language, Luther put it into the hands of the common people rather than just priests and bishops. Many of the world’s minority languages are oral, meaning they do not have a native system for writing. Because language is core to community and individual identity, a writing system must be created in close partnership with language speakers. Those who feel pride and ownership in how their language is written will be more likely choose to learn to read and write. Scripts are chosen based on the dominant script being used in the area. 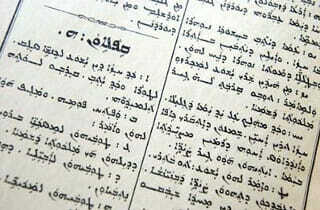 While many languages use the Roman alphabet, languages in the Middle East are more likely to use the Arabic script, for example. Literacy is vital. 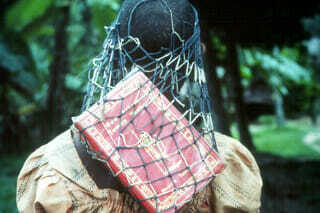 If people cannot read and write, it will not matter if they have a top-notch Bible translation in their language! 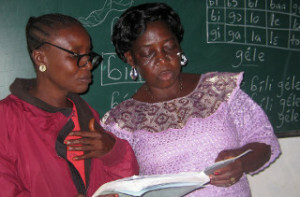 Early in the translation efforts, local teachers are trained to teach the community to read in write. How do translation teams bridge the gap between the ancient communicators and modern communicators? Teams must factor in linguistic, ideological, cultural, communicative, organizational, ethical and theological considerations. Each decision carries nuanced consequences. This is, by far, the longest and most involved part of the Bible translation process. The team reviews and checks the translation piece by piece with other native language speakers for meaning, nuance, and comprehension. Every effort is made to assure word choices are familiar and natural to speakers of the local language. In a single translation project, at least three cultures are in play. For example, the Komba translation project in Ghana must balance the traditional Komba culture, the new influences of modern Western-influenced culture, and the Ancient Near Eastern culture of the Biblical source document. When cultures clash, translators must make decisions. Translators may add a descriptor within the text to distinguish a biblical concept from a traditional concept. For instance, baptism in Kombe is translated as bathing people with God’s water to distinguish it from normal bathing and ritual bathing in traditional African religions. On rare occasions, a translation team may foreignize the text and explain concepts and nuances in word usage at greater length in supporting materials—footnotes, the Bible glossary, and Scripture engagement materials. Though technology is changing the process, and each translation team works differently, early drafts are commonly written by hand. When translators work separately on different Bible portions in a single language, drafts need to be compiled into one document. As with any book, style and formatting choices are important elements of preparation for publishing. They affect how easy or difficult the book is to read. a) Comprehension. 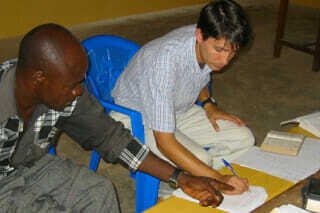 Translators check with native speakers in the village to be sure they hear and effectively comprehend the text. b) Biblical accuracy. Translators check with consultants, experts in the original biblical languages, to assure the translated message is consistent with original biblical intent. c) Linguistic accuracy. Translators check again with native speakers by checking reverse translation, called back translation. Native speakers translate the completed text back into a trade language or into English, so it can be analyzed for accuracy of thought and expression. Partnership is integral to the success of Bible translation. In most countries where we work, LBT partners with the United Bible Societies (UBS), the world’s biggest translator, publisher, and distributor of the Bible. UBS comprises 146 Bible societies operating in more than 200 countries and territories. 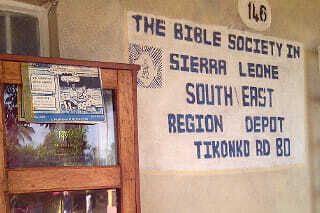 Bible societies work with all Christian churches and many international non-governmental organizations. 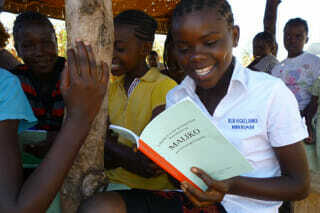 Their approval is essential to the success of our translation projects. This process is managed by the publisher, and involves preparing the written page for printing, choosing fonts, and more. LBT’s Bibles are usually printed in Korea. 12. Receiving printed quantities of the finished Bible. Completing a Bible translation is a big deal! We celebrate each completed translation with a dedication ceremony, which often includes speeches, music, and local dance. Printed Bibles are made available for sale, so people can have their own copies. Translation, start to finish for the entire Bible, may take as few as eight years, and sometimes more than 25. 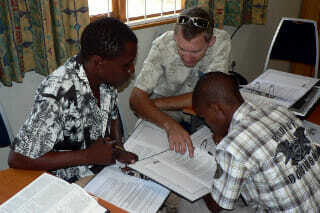 Once Bible translation is complete, greater efforts are focused on Scripture engagement and literacy. 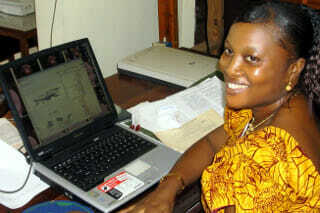 Lutheran Bible Translators appreciate any and all Bible translation donations. Should you wish to know more about the various options and opportunities for missionaries, please get in touch with us today!